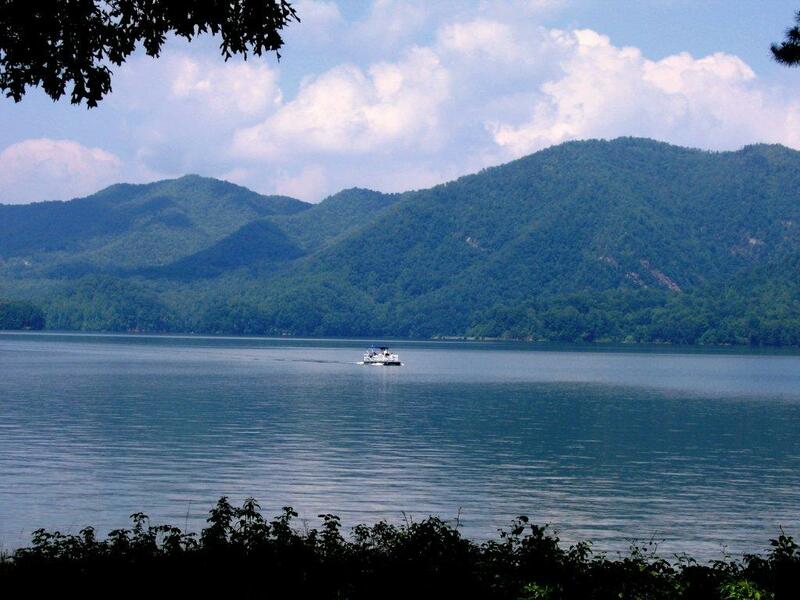 Watauga Lake, located southeast of Elizabethton, Tennessee, was created by the Tennessee Valley Authority (TVA) with the completion of the TVA Watauga Dam and Reservoir. The Cherokee National Forest surrounds both the Tennessee Valley Authority Watauga Reservoir and Wilbur Reservoir in an area of northeast Tennessee that TVA describes as being located "...in some of the most beautiful country in the Tennessee River watershed." Construction of Watauga Dam began in February of 1942 but was curtailed later that year in favor of other wartime building efforts. Work on TVA Watauga Dam resumed in 1946, and finished at the end of 1948, impounding both the Watauga River and Elk River for the purposes of flood control, hydropower generation and downstream navigation on the Tennessee River and Reservoir system. The original town of Butler, Tennessee, now sits at the bottom of Watauga Lake. "New" Butler was relocated to higher ground above the summer pool edge of the TVA reservoir. Other nearby Tennessee cities and communities include Hampton, Elizabethton, Roan Mountain, and Mountain City. Here is one of the last photos taken of the Old Butler town before it was moved. This was the last summer for this small valley town. In a matter of months the people would be gone and all of the houses and other structures destroyed. Crops were harvested that fall for the last time. man hours of labor. One man lost his life during Watauga's construction and 48 others were injured according to internet sources. Watauga Lake covers parts of Johnson and Carter Counties. Another much smaller nearby lake that is not part of the TVA system is the Ripshin Lake located 6 miles (10 km) SW of Roan Mountain. approximately 16.3 miles (26 km) long, with 104.9 miles (169 km) of shoreline. shoreline lies within the Cherokee National Forest and cannot be developed. no horsepower limit or speed limit for boats operating on the lake. Several fee-based public and private boat launch ramps provide access on the Hampton side of the reservoir. The release of impounded water from both TVA Watauga Dam and TVA Wilbur Dam provides additional downstream riverine recreational opportunities such as whitewater rafting, trout fishing, and kayaking on the Watauga River. Houseboat owners have been conducting a large annual July 4 Boat Parade on Watauga Lake since 2001.